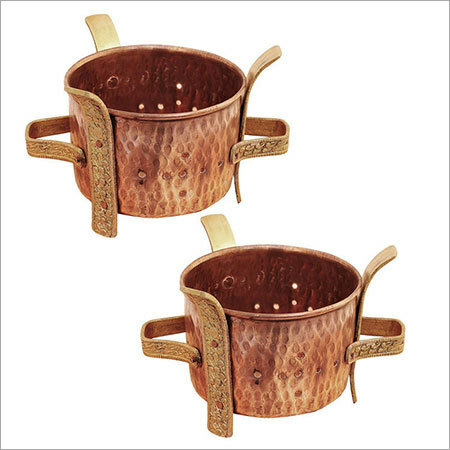 Buy this fully functional copper pot warmer stand with beautiful hammered copper patina. The beautifully crafted brass handles with intricate design make it comfortable to hold. This stand compliments the look of copper pot. As a good conductor of heat, the heat is uniformly and quickly spread across the surface of copper pot. A specific size of copper pot fits this copper pot warmer stand. Consult us for more information of this stand.